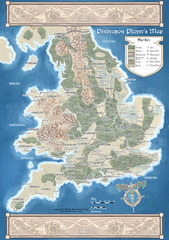 Welcome to my central page for traditional fantasy settings we use for our RPGs. Some settings here I have created using my own system of Realm Development documents. Most however, are smaller settings started by someone else (such as Chris Perkins' Dragon Isles) or published elsewhere (such as Elsir Vale) that I have expanded and modified for my own campaigns. Even settings developed by myself usually contain elements from other places so that certain adventures can take place there. Whilst we have individual sites for many of the larger settings we game in, I am gathering the smaller ones here so we do not have so many sites to visit. Please have a look around, ask questions, offer advice, etc. Added details for the Broken Few on the Bael Nerath Page. Added details for the Deep Lanterns on the Iomandra Other Groups & NPCs Page. Added details for the Lords Alliance on the Bael Nerath Page. Updated Waves of Destiny Adventure Log 3. Started new Adventure Log (#3) for the Waves of Destiny campaign, moving part of Log 2 onto it to reflect the search for the Hucrele siblings. 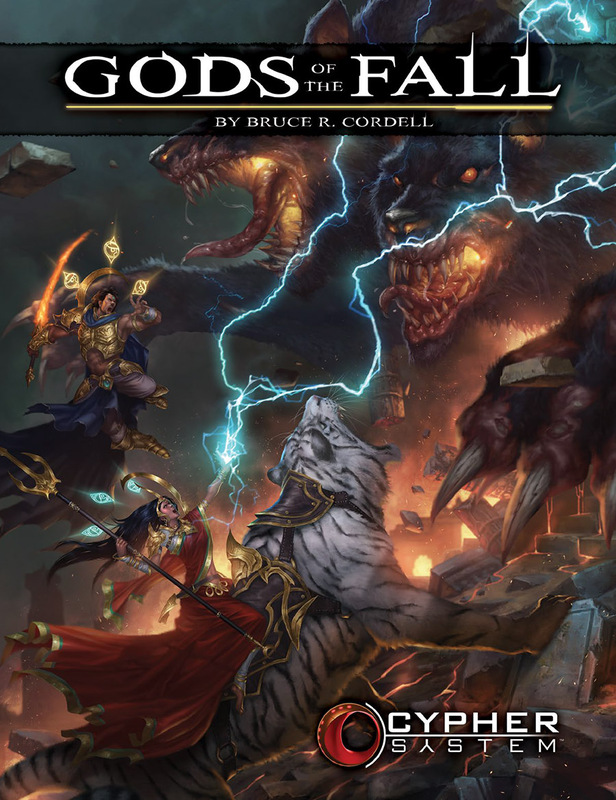 Added a whole pantheon to the Iomandra Religion Page - the Gone/Dragon Gods. Athas is a sun-burnt land forsaken by the gods, water, and hope. The natural resources have been depleted and a lack of metal has resulted in the use of wood, obsidian and bone for weapons, tools and other common equipment. In such a harsh and unforgiving land, even the most mundane of creatures have developed psionic abilities in the constant struggle of survival of the fittest. In such a world as Athas, a death by natural aging is considered to be a great achievement and an event worthy of celebrations. 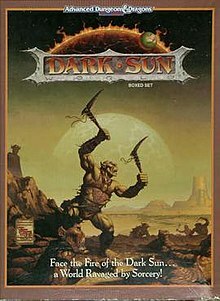 Athas is the name of the setting for the Dark Sun Campaign Setting produced for 2E Dungeons & Dragons. It was also updated extensively for the 4th edition of the game. Elsir Vale is a quaint little rural fantasy setting that has wilderness on all borders, but maintains trade with distant realms. The vale is considered a point of light and the only surviving collection of towns from the Kingdom of Rhestilor, that fell almost 200 years ago. The region it is in is often referred to as the Eastern Realms, for the areas described in this setting lie on the eastern edge of a very large continent. Humans, dwarves and other 'standard' races have traditionally come to the region from the west and north (with the southern tropics being and remaining much of a mystery). 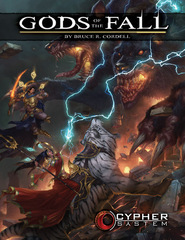 A mini-setting by Monte Cook Games for the Cypher System, written by Bruce R. Cordell. Then Elanehtar fell to earth like a vengeful star, sparking cataclysm and plunging the world into a dark age. The gods are gone, but their works remain - scattered and broken. The world struggles under the yoke of murder, slavery, and corruption. Dark things have squirmed free of their divine prisons, and even the afterlife has become a realm of nightmares. Gods of the Fall is basically a post-apocalyptic fantasy setting. The main thing that sets it apart, however, is that characters can contain a divine spark and over the campaign become the 'new gods' or the 'old gods returned': no one really knows. I am GMing this setting for one of our school-based groups. We are using the Cypher System. A fantasy setting named after the dragon creator god. After his progeny failed to rule the world he gave to them, Io unleashed a cataclysm that sunk most of the lands beneath the sea. Dragonborn were the dominant race of this setting, but their influence has waned. Iomandra is now a watery world peppered with islands and scattered kingdoms that rely upon sea trade. 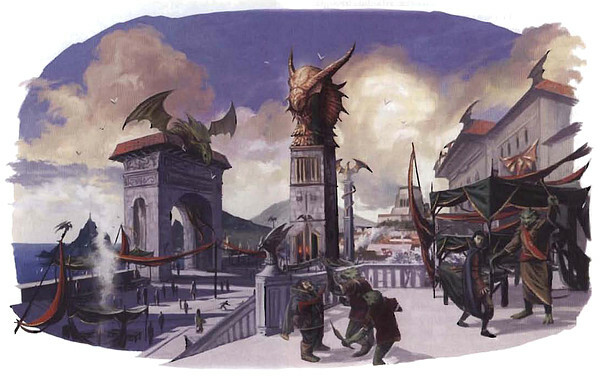 This setting is named after and based upon the setting Christopher Perkins revealed on the Wizards of the Coast website as an example of a 4E campaign - including all the generic names for each of the racial homelands, such as Arkhosia for the dragonborn. I started with Christopher's ideas but quickly expanded upon as I could not wait for future installments. This included doing my own maps, so the world itself appears different to Christopher's. Anything I have that was written by Christopher is set in white text boxes like this one. (If someone notices I have missed any please let me know). 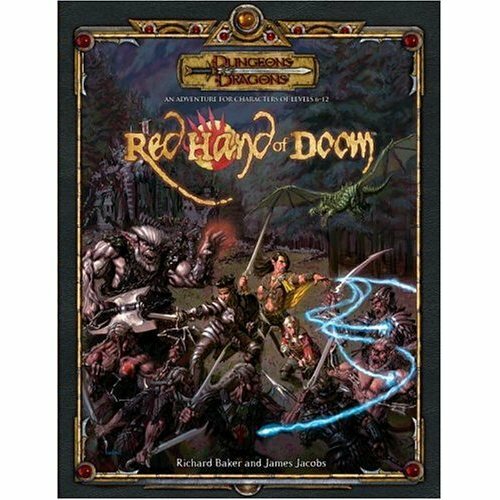 Currently the home to our 5E D&D Waves of Destiny Campaign. Kodo is the name of an old magocracy struggling to hold power, but the whole region has come to be known as the lands of Kodo. It is where the Akadoan humans live, though others have now come to their lands. Some have embraced the newcomers, and others (such as the magocracy) have not. This is an African-inspired setting that has come face-to-face with a standard medieval Europe culture. I created this setting (mostly randomly) using my Realm Creation documents. 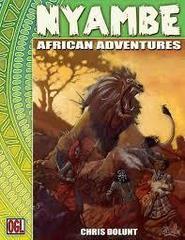 However, as it took on an African influence, I relied a lot upon Chris Dolunt's Nyambe: African Adventures from Atlas Games. In fact, Chris's early PDF transcripts were a big influence on me before the book was published. For ease of use I used a lot of the human racial divisions straight from Nyambe. This setting was developed for my first 4E D&D game. The Summer Isle campaign is set in Dark Age Britain, but is a high fantasy version of the British Isles, where the native human Britons are losing the battle against the invading and expanding Saxons, Angles and Jutes (half-orcs). The dwarven Picts in the north hold the highlands with several troll, goliath and other war-like allies, whilst the giant Welsh have managed to keep all their lands free from the Saxons so far. Down in the isolation of southwestern Llyonesse, coal dwarves rule, with rock gnome allies and harkrinn (birdfolk) for scouts. The magical and horned Atlanteans have also settled in this region following the sinking of their home island. Marsh-dwelling halflings lead pockets of resistance against the Saxons and even the fey have made their presense known as they join the Britons and their allies in a final battle to save the Summer Isle (a term given to the island by the Briton hero King Arthur). Roman (dragonborn) ruins dot the landscape and are generally sought after by kings and warlords. I cannot quite remember how this setting came about, but I have always had a love of the Dark Ages. 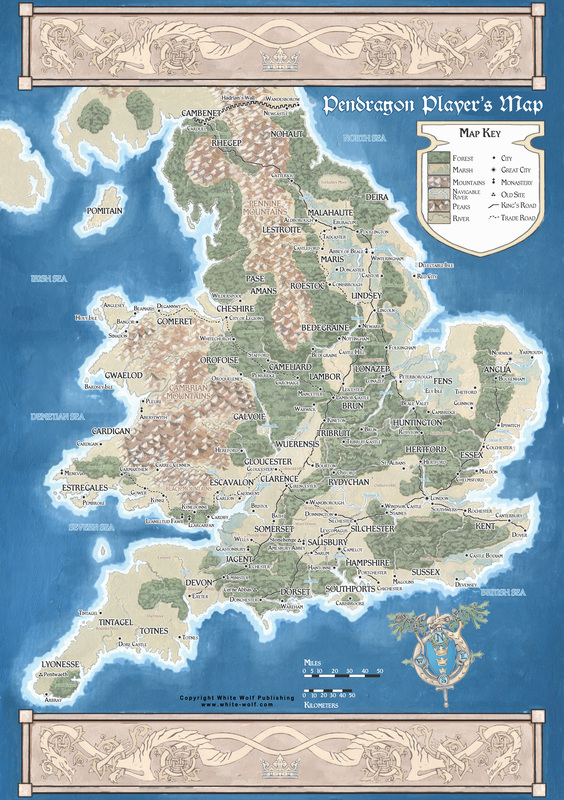 I am sure I started with my Realm Creation documents and then just decided to use actual British Isles for the map (using the Pendragon RPG map). I then rolled random races as usual and had several of them fill the places of historical human groups that have each had their turn at the isles. (Notably, this is the second of these mini-settings where Dragonborn were the rulers of a preceding golden age (Romans). We first used this setting to try out paragon tier 4E D&D. I then used it briefly for a school group for a 5E adaptation of the A1 module Stockade of the Slavers. Was it, well ok then :) Like the lone operative role, suits the order to a tea. Added a Lone Operative special role. No followers. 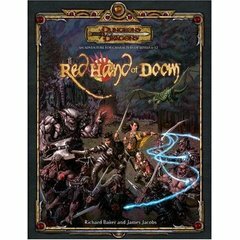 Uploaded file "Halfling Rogue 7 Sorcerer 1 Fighter 1 - (Todd) - 5E.doc". Uploaded file "Deep Lantern Guild.png". Uploaded file "Lords Alliance Blazon.png".